Author Nick Rippington recalls the jailer of Cardiff nick, ‘arf and ‘arf curries and hobnobbing with the famous in Kiwis. I’d been in Cardiff for just a few days, a new recruit on the journalism training course at the further education college in Colchester Avenue, and was lodging with Cliffy and his family in a terraced house in Penylan. I had the downstairs front room in a home that always seemed to be full. A constant stream of foster kids were in and out of the Simmonds house, mingling with their own offspring, two boys and a girl. Forgive me if I can’t remember all the names, but we are talking 1978 – almost 40 years ago now. It was my first introduction to the ’Diff and the first steps in a love affair. Despite my failing memory, though, I will never forget Cliffy. An enormous, larger-than-life character, he was jailer at Cardiff nick and in his spare time drove celebrities around in a Rolls Royce. That first night he took me to the Albany Pub in Roath. It was long before the days of gastro-pubs, wine bars and new fangled phrases like “refurbishment”. This little backstreet boozer was a typical spit-and-sawdust Brains pub and locals greeted Cliff as if he was a long-lost friend, even though he’d seen them all the night before. Immediately he dipped his hand in his pocket and shouted in the round, ordering without bothering to ask what my drink preference was. I was presented with a pint of Brains Mild (thank goodness it wasn’t SA) and as he chatted away to his mates about the latest Six Nations rugby tour he was organising I focussed on a small TV in the corner showing that evening’s episode of Coronation Street. By the time the programme finished half an hour later I was staring rather forlornly at my fourth pint of mild. Cliffy, his pint-glass resembling an egg cup in his massive hands, was just getting into his rhythm. Not once had he asked me to put my hand in my pocket. When I offered he just said “It’s your money”, waving a few pound notes in front of me, the rent I had handed him just an hour earlier. I’ve no idea what his wife thought of his generosity with this extra cash but I had an idea from the raised voices I heard upstairs later. On one such ‘rent night’, Cliff introduced me to the “best Chinese in Cardiff” – next to the student-friendly Claude pub in Albany Road – where an excitable Oriental man served me pancake roll and chips which he insisted had been made “very special for you”. Later I sampled the famous “Curry ‘arf and ‘arf”, rice and chips – a traditional Cardiff delicacy. During those student days my classmates and I discovered a favourite haunt in the Philly, or Philarmonic to give it its full name, a lively nightclub on St Mary’s Street. The best gigs though were at the Student Uni. I recall fabulous nights there seeing the Jam and Graham Parker and the Rumour. After that year in Cardiff alas I had to leave, taking up a job back on my local paper in Bristol. From there I travelled the country with my new profession, working in Stoke-on-Trent and Oswestry as a sports writer, before moving to Swansea in the mid 80s. In 1989, I got my chance to return to Cardiff. The Western Mail and Echo were poised to launch their first Sunday newspaper and I landed the job as Chief Sports Sub-Editor. Establishing a completely new newspaper was a brilliant experience, and while many predicted Wales on Sunday wouldn’t last more than a couple of months it has just passed its 26th anniversary, so we must have done something right. Wales on Sunday was the first “national” paper to contain a pullout sports section and gave blanket coverage to the Welsh football and rugby scenes, something locals were unable to get from the London-based media. Eventually I moved in with a mate, Nick Lewis, who had bought a house in Cathays. Sadly, Nick is no longer with us but in those days we enjoyed everything Cardiff had to offer. On evenings off my housemate would rub his hands together with a twinkle in his eyes, and announce it was time for an “adventure”. These “adventures” would take us down the docks to places like the Brown Windsor pub, where we could see brilliant Cardiff bands in action or enjoy a behind-closed-doors lock-in to watch televised coverage of the L’Arc de Triomphe. Or, better still, we could go to Sam’s Bar on the corner of St Mary’s Street before winding our way down one of the arcades to a popular late night haunt called Kiwis. If we were really in the mood we might top it off with a Steak in the Taurus Steak bar. On one such night we bumped into the actor Hywel Bennett and a pal who he was lodging with in Cardiff. Back in the days when I had hair people claimed I resembled him, so I recall going up to introduce myself with the immortal line: “People say I look like you”. It led to us spending a memorable night in his company, Nick and Hywel quoting Shakespeare at each other as the drink flowed (only the previous weekend we had published a story of how Hywel had kicked the booze!). I was later promoted to sports editor and eventually left to try my luck on the Independent and, later, the Sunday Mirror in London. Five years later, though, Wales on Sunday came back to headhunt me and offer me the job of Assistant Editor. Many of my stories of that third time around in Cardiff, vaguely remembered, can be found on a blog I wrote called What I Cooked Last Night. It was when I later took up the job of Welsh Sports Editor at the News of The World, only to lose it at 48 hours notice when Rupert Murdoch closed down the paper due to the phone hacking scandal, that I came up with the idea for my novel Crossing The Whitewash. 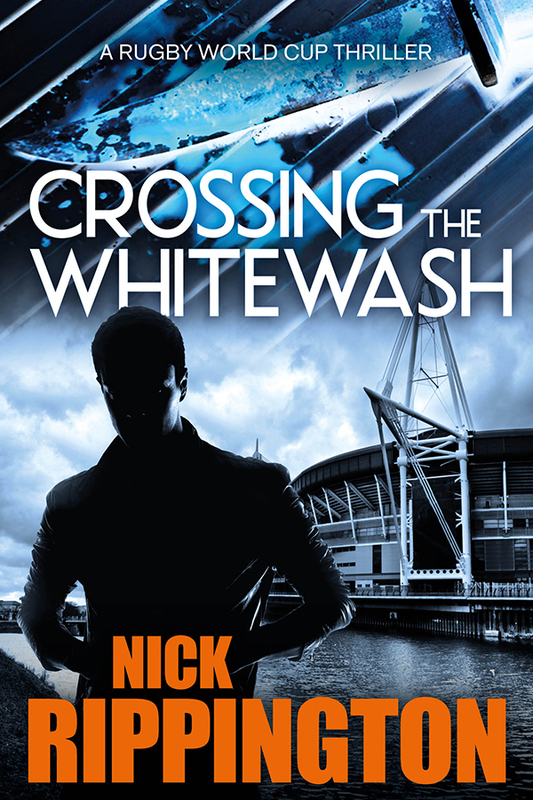 It draws heavily on my experiences in both Cardiff and London, and is set against the backdrop of the Rugby World Cup. It’s my debut novel and so far I’ve been very happy with some of the reviews I’ve been getting. Maybe when I make my first million I’ll return to Cardiff for good. 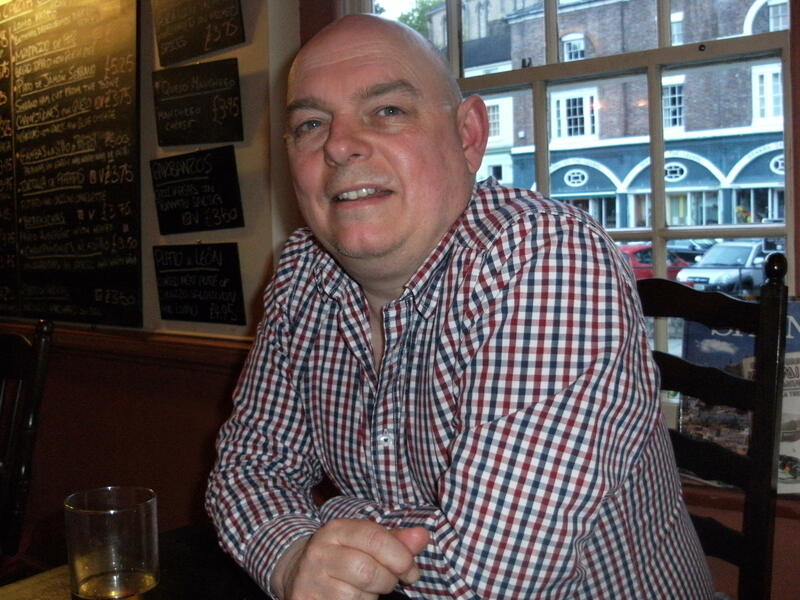 Nick Rippington currently lives in London with wife Liz and youngest daughter Olivia and works for the Daily Star and Daily Star Sunday. His novel Crossing the Whitewash is available from Amazon in paperback and for Kindle. It can also be found on iBooks, Kobo and at selected stories including The Wellfield Bookstore in Roath. ← Launch party details unveiled for ‘The 42b’, We Are Cardiff Press debut book!